Rhinoplasty (Surgery of the Nose, aka “Nose Job“): Every year, half a million people who are interested in improving the appearance of their nose seek consultation with facial plastic surgeons for a nose surgery. 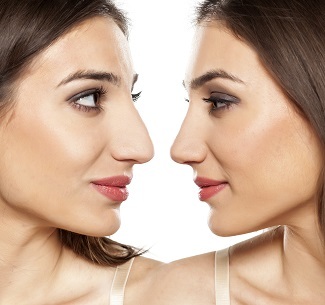 Some are unhappy with the nose they were born with, and some with the way aging has changed their nose. For others, an injury may have distorted the nose, or the goal may be improved breathing. Because the nose is the most defining characteristic of the face, a slight alteration can greatly improve one’s appearance. Dino Madonna, MD – a Board Certified Facial Plastic Surgeon with offices in Leesburg, The Villages and Tavaes (FL) – has extensive experience in such procedures and insures the end results are not only reflective of the reason and desired outcome, but enhances the artistry of your face, as well.